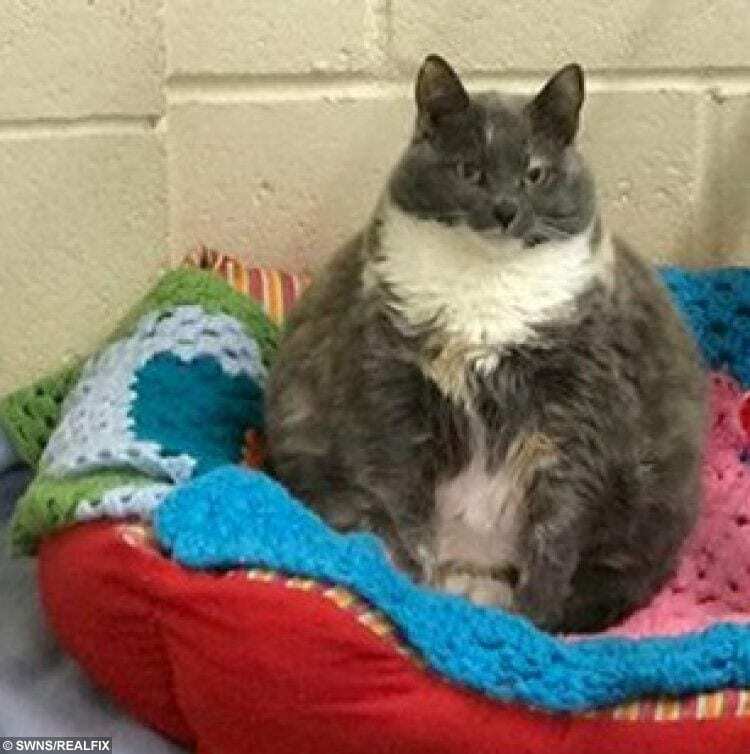 One of Britain’s fattest cats is looking for a new home after being forced onto a diet – and losing one and a half stone. 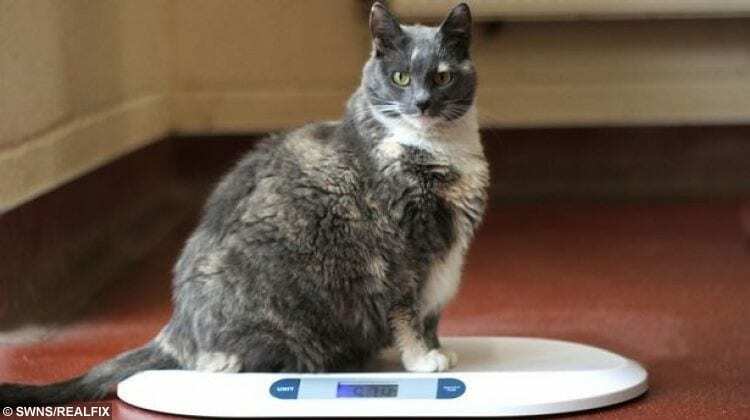 Eight-year-old flabby feline Mitzi shocked vets when she tipped the scales at 1st 3lbs (7.7kgs) and was put on a calorie-controlled diet and a strict exercise regime. 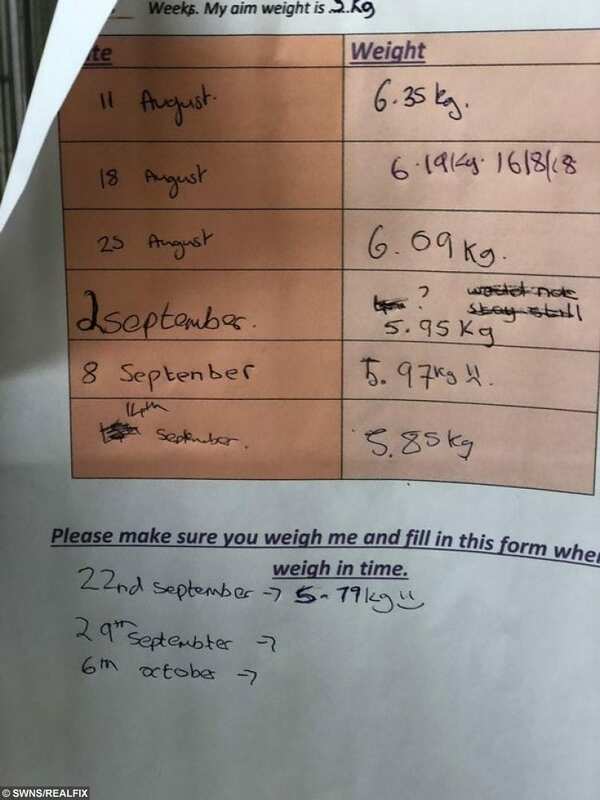 Two months on, former fat cat Mitzi now weighs in at a slimline 12.7lbs (5.79kg) having lost an incredible five-and-a-half pounds. Mitzi was re-homed earlier this year but was returned to Woodside Animal Welfare Trust in Plymouth, Devon, in August. Staff at the centre are trying to find another new home for the glutenous cat. Lisa Darcy, Woodside’s assistant manager, said: “She’s a quirky girl. She knows the deal. She’s around two kilogrammes over the ideal weight for a cat. Volunteers at the charity thought that Mitzi had piled on the pounds after being fed by students at different addresses. 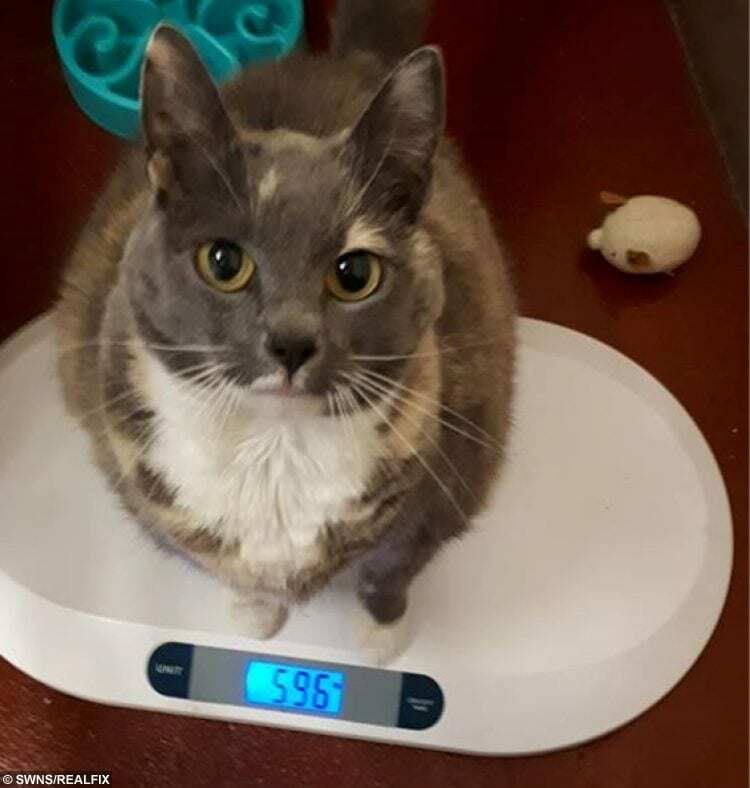 Lisa added: “Her weight is slowly dripping off – she’s on a low calorie diet but she’s eight-and-a-half now so her metabolism has slowed down. She’s got a middle aged spread. “She can be stubborn – we have so many toys for her and we get the staff at opposite ends of the corridor so she can run to them. It all depends on her mood. “She’s happy when she’s snoozing especially if it’s a sunny spot. We need to find her a home without other pets so there’s no sharing of other food. “Families with children over 10 should be suitable. She just wants to lounge around – she has human slaves.